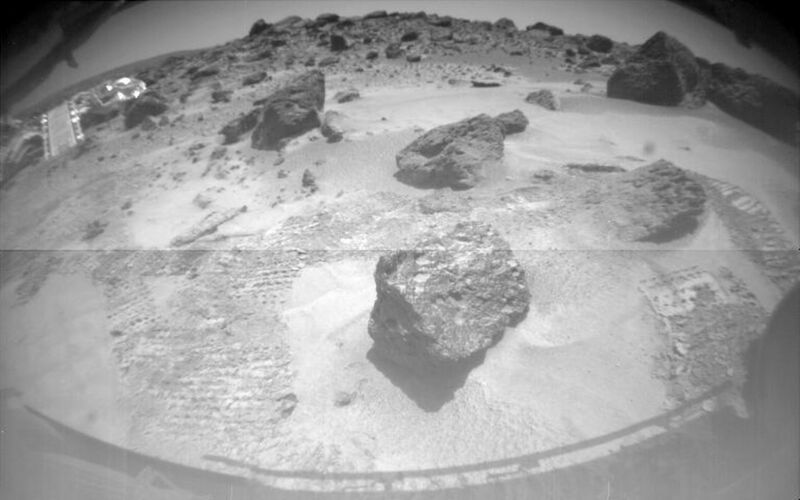 One of Sojourner's two front cameras took this image of the Sagan Memorial Station on Sol 6. 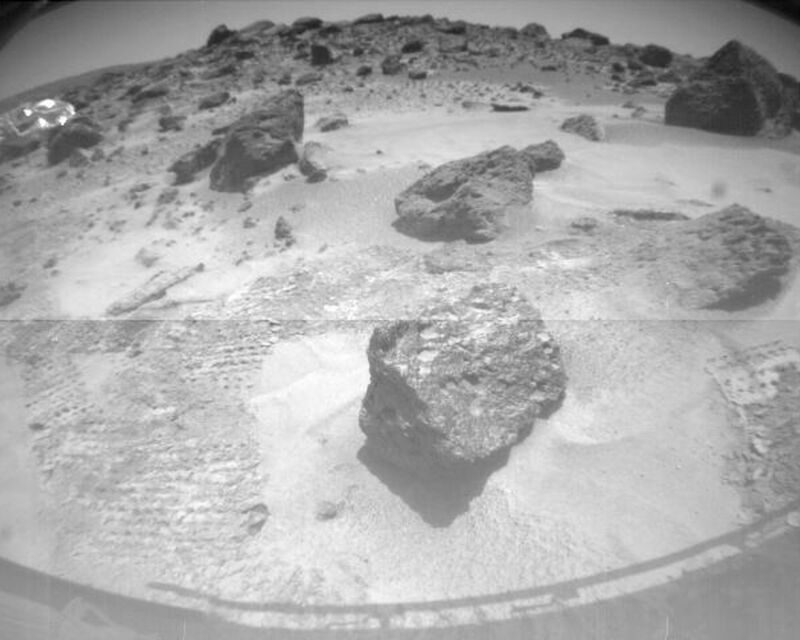 The lander and its deployed rear ramp are at upper left, while several large rocks appear at center. 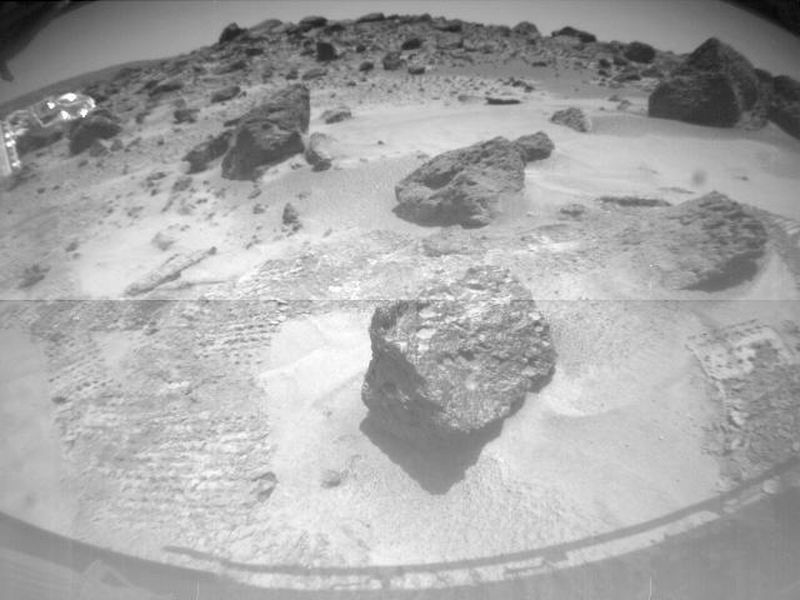 Sojourner was near the large rock Yogi when this image was taken.